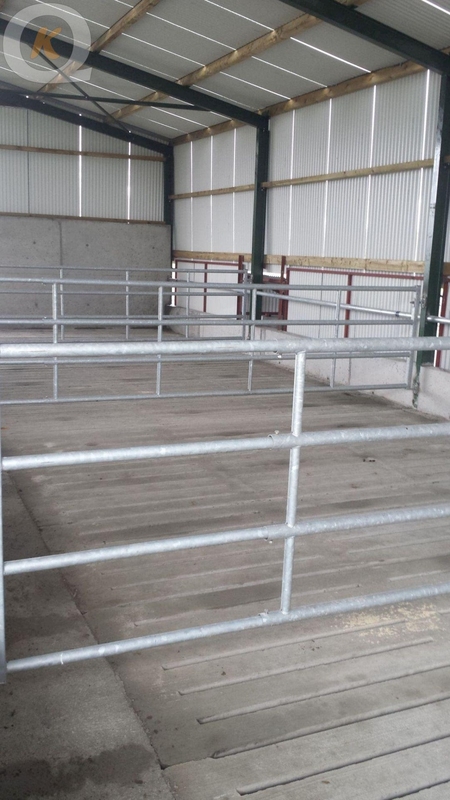 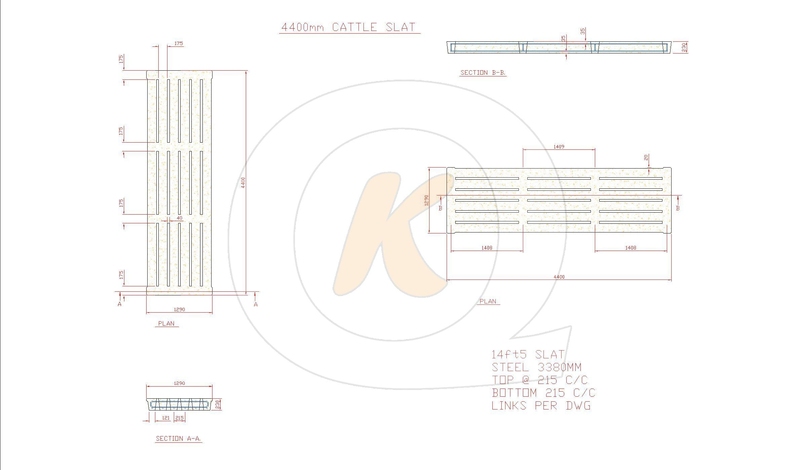 Kilcarrig Quarries produce a full range of agricultural Heavy Duty Cattle Slats to suit your required Agricutural needs. 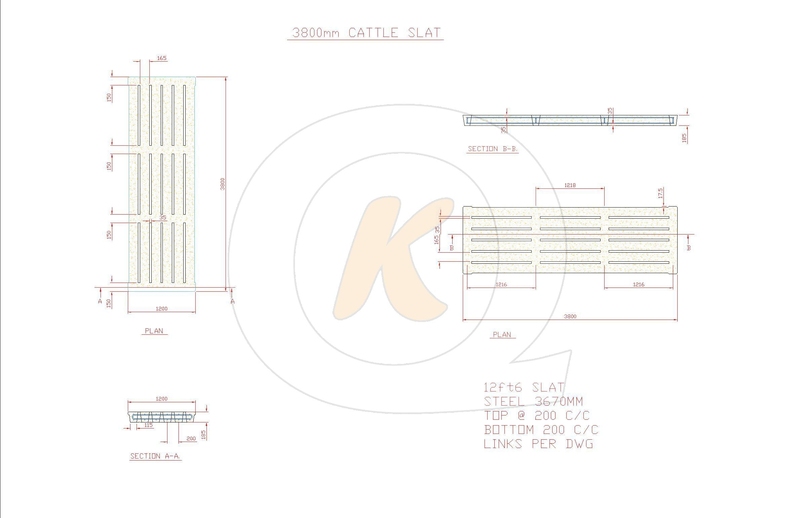 These slats are Reinforced and produced using our High Quality Concrete for great durability and designed to EN-12737. 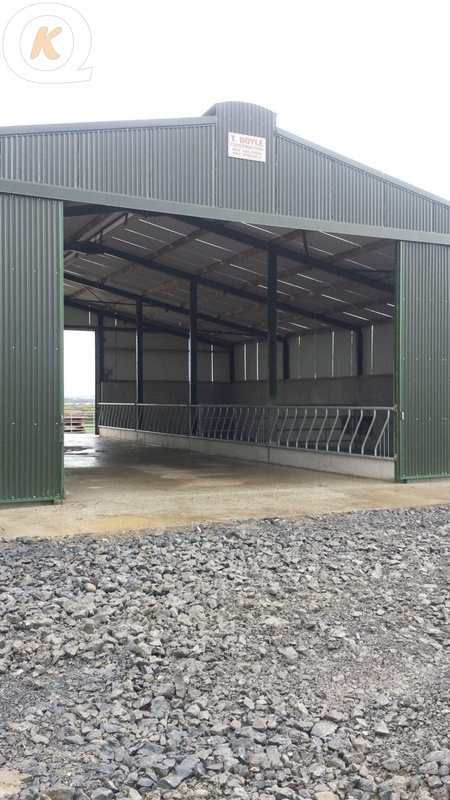 We produce a full range of sizes from 10ft 6", 11ft 6", 12ft 6", 14ft 6", and 16ft 6". 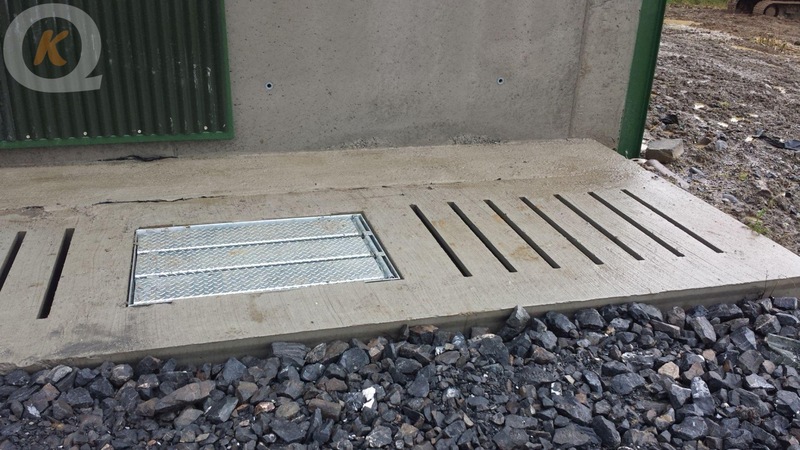 We also produce a full range of Heavy Duty Manhole Slats from 10ft 6", 11ft 6", 12ft 6", 14ft 6", and 16ft 6" with the option of the manhole opening. 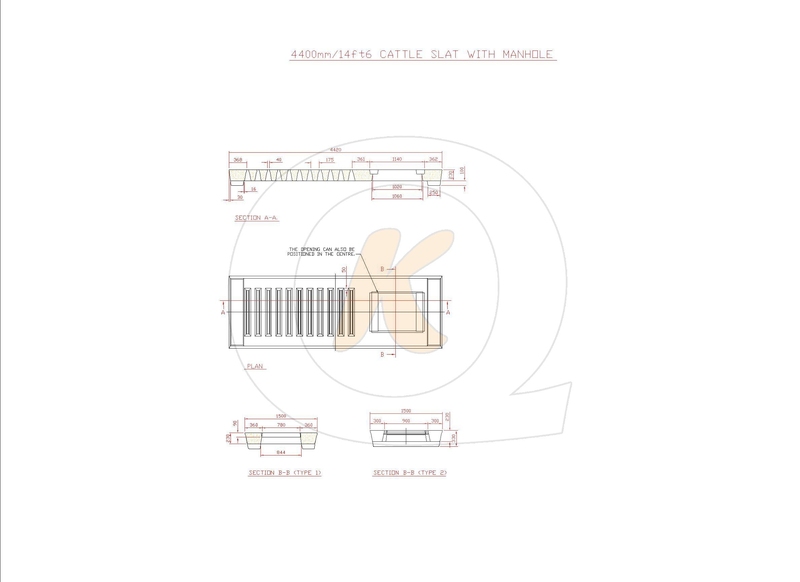 in the centre or offset to allow easy access for agitation or extraction of slurry. 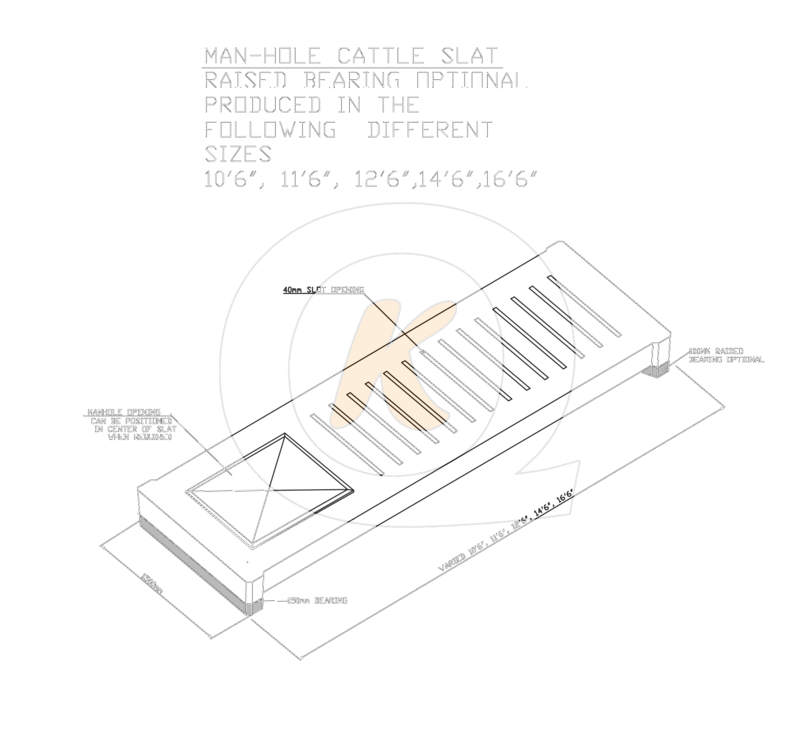 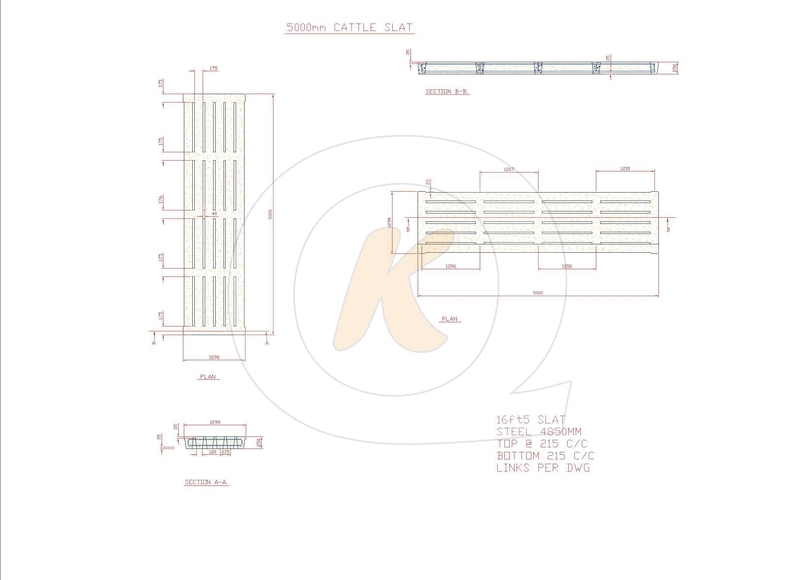 Manhole slats can also be either slatted or slab depending on requirements. 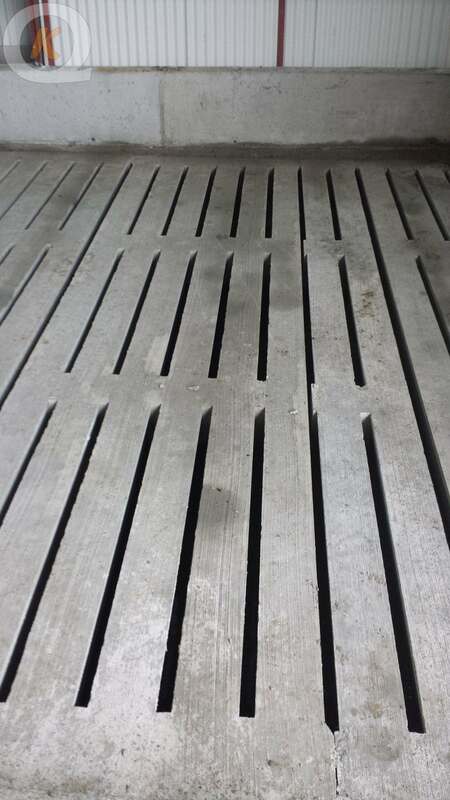 All Slat options require a min 150mm / 6in End Bearing.Our Manhole Slats have a furthur option of raised bearings (100mm) if required to be higher than the standard to stop ingress of surface water and allow the surrounding area to be sloped away. 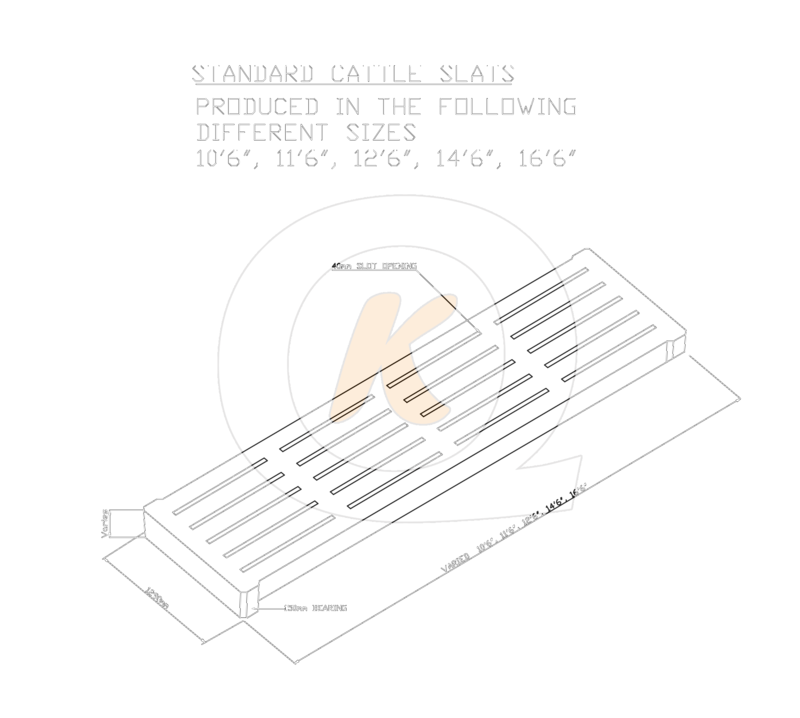 Our Slats are continually tested to ensure quality and strengths are achieved in production and are capable of taking a typical tractor loading.